MICHIGAN CITY, Ind. -- Charges have been filed against an Indiana man after investigators ruled the death of his 8-week-old son a homicide. 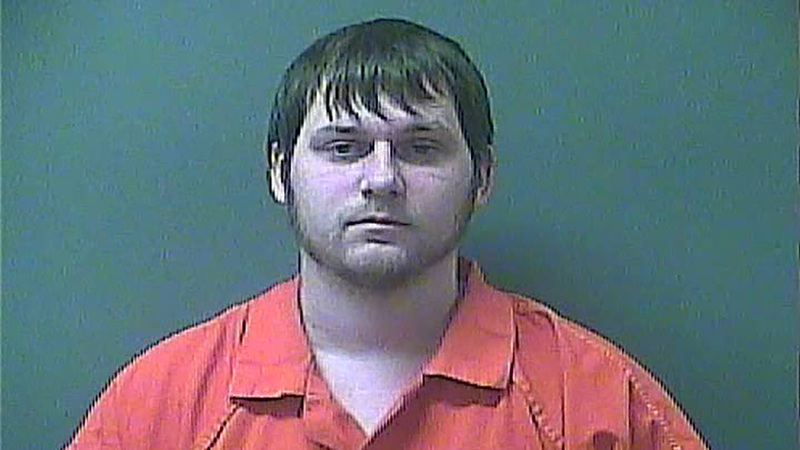 Brandon L. Bottom, 24, is charged with one felony count each of neglect of a dependent resulting in death, aggravated battery resulting in death and battery with death to a person under 14 years old, according to a statement from the LaPorte County sheriff's office. The child was brought to Franciscan Health in Michigan City, Indiana, on Feb. 1, the sheriff's office said. Corey, who lived in Michigan City, was transferred to the University of Chicago Comer Children's Hospital, where he was pronounced dead at 11:41 a.m. Tuesday, authorities said. An autopsy found his injuries were caused by blunt force trauma and his death was ruled a homicide. Bottom, who also lives in Michigan City, was arrested about 10:40 a.m. Friday and is being held at the LaPorte County Jail on a $100,000 bail, the sheriff's office said.